The officer simply removes the device from his pocket, opens it up, and places it under the suspect’s tire. 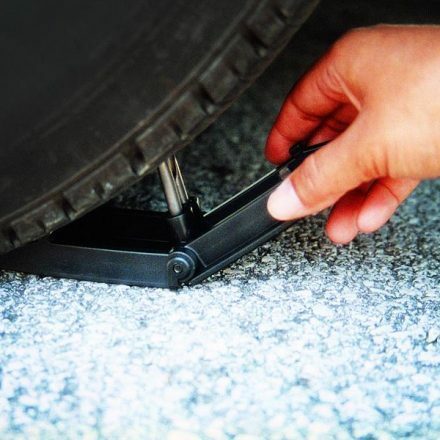 If the suspect attempts to flee, the Rat Trap II will quickly deflate the tire with stainless steel Stinger spikes. Within moments, the slower speed of the vehicle will force the suspect to stop.